They say a motorcyclist who rides much throughout the year is seldom dry, as he or she is either wet from rain or wet from sweating... and there is much truth in this. Those of you who are acquainted to long rides just know that the blessed state of "I'm 100% OK" is quite a rare thing. Now, since most of the riders will be aboard their bikes during the warm season between May and September or so, they'll ever so often be riding in the blistering sun, and not knowing how to defend themselves against the unforgiving heat can easily take away the joy of riding... and even lead to serious trouble. Summer is a great time for long bike trips, especially because of the fair weather and the awesome grip on the hot asphalt, but a rider's plight is never done: the same beautiful season that makes minds wonder and hearts throb at the thought of chasing the horizon can easily become the enemy of the unsuspecting rider. So when preparing for longer rides, you should consider several issues: check the weather forecast, consider how long your journey will be or how long you will be riding into the day, check your riding gear and remember about your potential health issues. Doing so increases the chances in your fight with the searing heat and maxes out the joy of riding. There are two archenemies when it comes to riding in very hot weather: dehydration is the biggest evil of all and then there's the rest of physiological effects of sun/heat on the human body and mind. When exposed to excessive heat, the human body attempts to balance and counteract the overheating process by sweating. Evaporating water cools down the area and this is the way in which our bodies fight against excessive heat. Different individuals have varying responses to heat exposure, but there is one thing they all have in common: water and mineral loss. On the other hand, when exposed to excessively high temperatures over an extended period, some individuals might experience nausea, nose bleeding, increased heart rate, sensory delusions and many other nasty effects that are not to be desired, especially when riding a motorcycle. Knowing the way your body reacts to heat exposure is the key element for taking the best precautionary actions and counter-balance the negative effects. When sweating, the human body eliminates a huge amount of essential minerals that are to be found in the bodily fluids. This is why you see white marks on the clothes you wore while sweating: they are a residue compound that contains all sorts of important minerals which help the human body work properly. So one of the main things when it comes to preventing the effects of dehydration is trying to re-establish the natural mineral balance in your body. In simpler terms, only water will not do, or at least will not do 100%. Personally, I have made numerous experiments during 600-miles (950 km) legs, and was surprised to find out that drinking mineral-loaded compounds intended for athletes helped dramatically. Special beverages, such as Gatorade and the likes of that are more than soft drinks: in fact, they are not soft drinks, but help bringing back to normal the mineral levels in the body. That's why they're not fizzy, and that's why they're just a bit sweet: quick absorption is needed without excessively adding sugar to the bloodstream. If you don't like these drinks, then you could check with your physician or drug store seller and ask them about dioralytes or Oral Rehydration Salts. Dioralyte solutions are pretty much the same thing but in a slightly different shape: they are powdered mineral compounds that can be dissolved in water, sometimes coming with certain fruit flavors. When going for long rides, dioralyte bags are far more convenient as they take up a very small place in your luggage and can be mixed on the spot whenever needed. Needless to say, they are much cheaper than similar bottled drinks. When riding in very hot weather, it's crucial to remember to rehydrate periodically. When the acute sensation of thirst is present, the dehydration is already happening. Depending on how much every individual sweats, drinking a small amount of water periodically is a very good way to prevent dehydration. Personally, I found that drinking some 200ml of dioralyte solution each time I used to stop for refueling during a 13-hour summer ride kept me in perfect shape, with no sensation of thirst, dry mouth or anything like this. Basically, I drank a cup of dioralytes and then quenched the remainder of the thirst with water, and everything went just great. There are many people out there who believe that dehydration equals thirst and once you had some water, things are back to normal. Dehydration is in fact many times more dangerous than the mere sensation of being thirsty. There are countless medical studies on the negative effects of dehydration carried out throughout the world, and they all point in the same direction: people should try to avoid dehydration as much as possible, by drinking enough water, before the strong sensation of thirst is present. Feeling a bit thirsty is the initial alarm that the body needs more water in order to keep functioning well. There is a very thin line between “alright” and “very bad” unfortunately: when it comes to dehydration, studies claim that a mere 2% drop in hydration levels is already causing short-term memory to become fuzzy, makes some basic math and mental associations seem like harder tasks and so on. Mild to moderate levels of dehydration lead to fatigue, muscle weakness, decreased concentration, headaches, dizziness or lightheadedness and more. Now please review these effects and beware that every item mentioned is a serious hazard when associated with riding a bike. Even more, dehydration makes blood be thicker than the usual, and this will cause the heart to work harder in order to pump the low-pressure fluid into your veins, causing unnecessary stress and decreasing the levels of oxygen reaching the cells. This will also lead to rapid breathing, as the human body will attempt to supplement the oxygen intake. In more advanced situations, drowsiness may also ensue, increasing the risks of making a severe error hundredfold. Finally, if dehydration occurs, the body will regulate the amount of sweat, thus trying to preserve the water resources: less sweating equals less cooling, and there we go, a very dangerous snowball effect that can turn out extremely nasty results. When riding in hot weather for long, both riders and passengers should remember to take short breaks for drinking at least water. However, if you don't like to stop every one hour and a half or so (I hate this with all the hate available), then you could have a water bottle at hand and drink as you ride. Or use a camel back hydration system, or pretty much any other method you seem to favor. It really makes no difference which way you replenish your water resources while on the road, as long as you do it. Finally, just before we end this first episode of “How to Beat the Heat,“ there is one more important thing about preventing dehydration: what you eat and drink just before starting off your journey on the road. On the drinks side, alcohol (whose use is illegal when riding anyway), coffee, black tea and similar beverages that contain caffeine will cause more frequent urination and need large amounts of water to be processed. On the foods side, dishes with high-protein content need water for breaking down the proteins, while a diet based on high-fiber content tends to eliminate water by associating it with fiber excretion. However, the biggest water consumption is caused by the simple sugars, as they need very much water in order to be metabolized. Candy bars and similar sweets are draining more water from your body than you could imagine. A balanced meal before the trip will help you stay in better shape (water-wise) and is a key element for “beating the heating,” if a very subtle and often overlooked one. 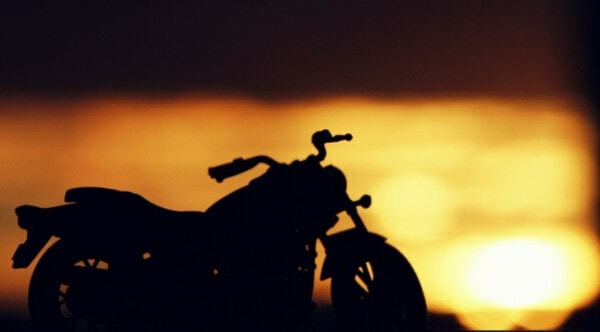 Ride safe and be cool, see you soon with another episode. Hi folks, and welcome to the second part of the "How to beat the heat" guide for riding in hot weather. The first part of the guide went through the basic explanation of the processes that can occur in the human body when exposed to high temperatures during a motorcycle trip. The most severe effects of high temperature are dehydration, which can lead to multiple adverse reactions, and sunburns. Dehydration is the starting point of many other negative effects that could impact the riding capability, and we're only bringing up the general discomfort caused by thirst, fatigue due to losing chemical balance of the bodily fluids, increased heart rate which struggles to keep the thicker blood pumping through your veins, and more. On the other hand, sunburns cause a much more direct discomfort and in severe cases, they even need urgent medical treatment. Needless to say, it's so much better to be able to smile when you end the day, than to squirm in pain every time you speak, feel the sweat beads stinging as they roll down your forehead and be afraid to wipe them off. Avoid sunburn. If you're on a long ride, we assume you're wearing your touring gear, which means boots, long trousers, a jacket and gloves. With such equipment, it's rather hard to believe there will be too much skin exposed in direct sunlight, save for the face and maybe the v-neck of the open jacket. One of the best ways to stay safe from the sun's UV radiation is using sunblock products with a high SPF or Sun Protection Factor. Remember to re-apply it if the ride is really long, and try to keep your helmet liner clean: even if yours is removable and washable, it's better not to need such treatment when on the go. If you're not into wearing denim or cordura or leathers as you roll by, a good sunblock is definitely a must. Even if your skin is not too sensitive to sun or is darker, this doesn’t mean that the sun won't touch you: you might be free from sunburn, but still, the UV could harm your skin. Finally, remember that sun can (and will) burn you even through lightweight fabrics, so don't think a light shirt will help you too much. During the hot summer days, you might be tempted to ditch your full-face helmet and go for a braincap or something like that. You don't need us telling you how the two helmets differ as far as protection against impact is concerned. Wearing a helmet with good ventilation is very nice in the summer, especially as the head tends to sweat a lot, and the flow of air evaporating that sweat is a cooling factor. Remember to have all your vents and extractors open, including the chin intakes. In such weather, every square centimeter of open vent is a premium feature and you should take full advantage. If you're wearing a modular helmet, riding with it open ensures excellent air flow. In some cases, depending on the motorcycle architecture and the type of helmet you're wearing, you might be surprised to find out that riding with a closed or full-face helmet is truly comfortable, provided its venting capability is top-notch. Before you get aboard your machine to start the journey, you could use water liberally to soak the inner liner: as air starts flowing through your helmet, water evaporates and temperatures inside the helmet drop. It will not last too much, but this cooling method is great because all you need to do is pull over, add some more water, put the helmet on, and ride away. Not everybody can afford buying a full summer riding suit, but if you can get it at least piece by piece, it's still great. Motorcycle protective gear designed for riding in hot weather comes with a lighter build, while retaining the protection factor. However, the summer jackets and trousers have mesh panels for extraordinary air flow and many all-round pieces also come with zipped vents. It's really great to choose 4-season gear, as these clothes usually have a layered design that can go on and off as weather conditions warrant. The 3-layer jackets are some of the favorite here: you get the outer cordura shell for protection against abrasion, debris, insects and whatnot, a detachable windproof and waterproof liner you can store in a pocket, while the third layer is the thermal one, shielding your body from the outer ones when it's cold. Such a design may not be exactly the most carefree one as you need to stop and gear up before the rain, but when it comes to versatility, nothing beats it. Likewise, with both jackets and trousers sporting thigh, arm/forearm, shoulder, underarm and back vents in pretty much any combination you can imagine, it's easy to figure out how convenient wearing such clothes is. You can wear your jacket fully zipped for the best protection, yet benefit from amazing ventilation with 4 front zippers and the rear extractor open. If you ride a lot during the summer, such clothing is the absolute best! Some can't stand the external armors, and there is no way others could blame them: it's just a matter of comfort and looks. If you're riding to work or have various meetings, it's just impractical to wear such an armor. However, if you fancy this type of protective gear, you must also take care of the UV and direct sunlight problem, as armors leave a lot of skin exposed. Knee, shin and elbow protectors can be, of course, worn over your casual clothes, in case you're not that keen to wear leathers for a recreational ride around the town in July. While full riding suits for the summer are not exactly dirt cheap, boots and gloves don't cost a fortune. Summer gloves are truly great, and once you wear some on a trip, you're most likely going to stick with them in the hot weather. With perforations and mesh panels, summer or “air” gloves are exceptionally comfortable because your hands will no longer sweat and most of us will surely love this. On the other hand, summer boots also have a special design for improved air flow and are way more comfortable in the hot season than your all-round boots. Or if you're not going on a longer vacation, short city boots are also a good choice. Shaped like tall basketball shoes and sporting all the ankle, toe and calf protection, such shoes are also comfortable for walking. Please remember that summer boots, (especially) gloves and other clothing with mesh and light fabric panels will NOT offer as much protection against abrasion and impact like the “full” gear does. Finally, we have technology and research to thank for the plethora of “technical gear” specially created for helping riders cool down. Some of the most used garments are special vests, which are made from moisture-wicking fabric and come with ventilation panels. Their nicest feature is that they control the water loss, thus reducing dehydration. Many armors and back protectors come with the same design and are suitable for the summer. Special gel garments are also a very nifty addition to a rider's wardrobe. These clothes contain a gel that can absorb a lot of water and they will evaporate the liquid at a slow rate, ensuring many hours of wetness. The principle is quite simple and the only secret lies in the water-absorbent material: basically, they will cool you the same way wearing a wet t-shirt does, but they will not dry as fast as your fav cotton t-shirt would. They're also very cheap: the Water Cooling Vest is $25 (€19) and it will stay wet for about 10 hours or so. Cool suits are yet another way to lower your body temperature in the blistering weather. These full-body suits are designed to be worn underneath your leathers or other protective gear, and the very structure of the fabric helps air circulate. With their wicking capability, such clothes are also enhancing the riding comfort as leathers will no longer stick to the rider's skin, while, by draining moisture away from the skin, they also help reduce heat build-up inside the body. Moto-D, Alpinestars and many other manufacturers are offering such suits. Ice collars can be worn around the neck, as well, though many can't actually stand them: they sport a pocket in which a small zip-lock bag can be inserted after filling it with ice. Ice melts away and water will slowly drop on your t-shirt, keeping it wet and you cool. In the end, if you're not willing to spend too much on such gear, you can keep wetting your t-shirt from time to time and be fine with that. Just remember that with each minute you're riding in the heat you're losing water and minerals, and drinking lots of water is the key element for beating the heat. Check out the first part of the guide, for detailed physiological aspects of humans vs. heat. We really hope your summer rides will be cool and all right. Ride safe!